If that’s all there is . . . Besides wanting to slit your wrist after listening to it, the song begged an existential question that is answered by the resurrection of Jesus. On Friday, as Jesus hung on the cross, life for the disciples couldn’t have looked worse. Their mentor and friend was tortured and killed. They were on the run, fearing their own death. On Friday, they didn’t know that on Sunday they would be singing different lyrics. Friday wasn’t the final verse of the marvelous song. You’ve probably heard the story about a family handing out spoons at the funeral of a loved one. This deceased loved dessert, particularly Bluebell Homemade Vanilla ice cream. As was the tradition in their family, dessert came at the end of the meal. The life celebration concluded with this encouragement, “The best is yet to come.” Easter reminds us that death is the beginning to a new verse. As you celebrate Easter, may you experience the presence of Christ and the hope of the Resurrection. Thank you for getting the word out about Rockbridge. Most of our students come to Rockbridge as a result of a recommendation from a pastor or friend. Ninety-eight percent of our students recommend Rockbridge to their friends. The percent of students satisfied with their courses of student is 97+%. We’ve got raving fans! There are several ways you can help us get the word out. Put us on your Facebook or Website. Pray about God to show you people who could benefit from Rockbridge and talk with them. Share with us prospects through this link. Become an official partnerof Rockbridge. Here is a link to a printable brochure. Thanks for helping us develop servant leaders for Christian ministry. I want to offer my two cents worth in the online vs. traditional classroom debate. I do this as both a student who has completed online and traditional degrees and as an instructor who has taught in both modalities. Both approaches to education have their strengths and weaknesses, but right at the outset I want to confirm that I have found that online courses and degrees are fully equivalent to traditional classroom-based degrees in terms of content, depth of learning, and student outcomes. My experience as a student with online learning is extensive – I have earned six accredited degrees from five different colleges. I selected online learning because of its flexibility and because I could complete degrees that met my specific learning goals without uprooting my family and moving across the country to go to school. I could also continue in my job, and on that latter account studying in online programs was a real advantage. 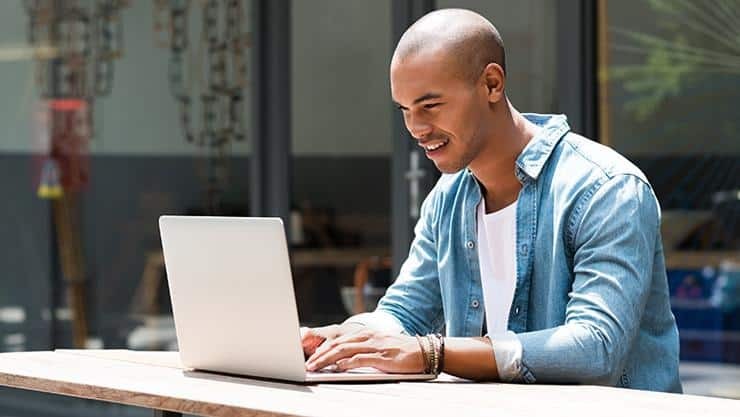 The coursework and learning in online programs are certainly as rigorous as in the traditional classroom, so a student doesn’t have to feel that he or she would be unprepared to compete with those who studied in the traditional way. As long as the institution has accreditation from one of the recognized national or regional accrediting bodies, you can be assured that the school meets the same standards as other accredited schools. And, because some people have concern about online programs, these programs tend to get an extremely thorough assessment during both the accreditation and reaccreditation process. As a “mature” student, chronologically, if not in other ways, I found online programs to be extremely beneficial. First, my work experience gave me a good background to bring into the courses. I certainly was not at a disadvantage with regard to my fellow students. Second, I found that what I learned in my courses could often be applied immediately to what I was doing at work. Actually, I looked for ways to make this happen. What is learned in the classroom can be taken right into your job and applied to problems or situations you are dealing with at the time. Third, and perhaps even more importantly, I found that what I was doing on my job could be taken into the classroom. Things I needed to understand more about at work or problems I was dealing with there became topics for a number of papers that I wrote and were brought up in the discussions. This latter allowed other students and even faculty members to comment on my topic and make helpful suggestions for me to think about. Speaking of faculty-student and student-student contact, one major surprise for me with online education was discovering that I actually had morecontact with my professors and other students in my online courses than I did in my on-ground courses. In an on-ground course, you go to a classroom, sit in a seat for an hour or two, and then leave, not to see the professor or other students until the next class session. In an online course, you are in constant contact with your professors and other students. Discussion forums are a major part of online programs, and these give you regular, on-going interaction with students and faculty members as well. I am always amazed by how quickly these discussions move from being just academic to becoming personal and connective. A number of times I have seen students who had been in previous courses together pick up with each other where they left off some months earlier (e.g., “How’s you mom doing? Is she out of the hospital yet?”). In addition, most online course formats provide a “discussion” box on the course website that allows unfettered discussion among students. Here there is always a lively discussion among students here, and the discussions are completely uncensored by the faculty and administration. You may even find a few people in your local area with whom you can connect for face-to-face interaction if you want. What are the downsides to online programs? Only two, and the student is actually in control of both. First, online programs require more personal discipline than do classroom-based programs. While online courses are structured on a week-to-week basis, they tend to be fairly flexible within each week. It is very different from having to appear in a face-to-face classroom two or three times each week. As a result, it can be easy to let things slide if you are not careful. On the other hand, if you areself-motivated, the program is ideal because you can structure your studying and coursework around your personal and professional schedules. If you are not naturally compulsive-obsessive, it can be very helpful to set a weekly schedule for yourself and let a friend/boss/whomever serve as a point of accountability. Second, despite what I said earlier, the direct student-to-student and student-to-professor contact can slide if you let it. You really need to lean in and take advantage of the connectional opportunities that the online environment offers. Instructors provide class discussion forums with specific questions or topics to be addressed each week, and these are included as part of the course grade, so you will always be interacting with other students throughout the course – how much is up to you. Doing just the minimum will result in getting a lot less out of your courses than you otherwise would. With regard to concern about the validity of online degrees, the online degree process is a fairly recent phenomenon and is becoming much more accepted as time passes. With any change in academia, there are always those who drag their feet. It wasn’t until the 1900s that engineering programs were felt to be academic enough to warrant a real degree, and those with a few years on them may remember the flap over Black Studies, Women’s Studies, and General Studies degree programs when they were first introduced. Engineering and Black, Women’s and General studies programs are now in existence at most major universities and are considered to be genuine. In the same way, most of the major institutions now offer online programs (the figure is 98% of public universities), so the snobbery will eventually go away. About the Writer: Dr. Ben Davis has served as Vice President for Legal and Academic affairs at a university that offers both online and on-ground programs. He holds multiple degrees including two accredited doctorates, one from an online and one from an on-ground institution. WHY IS SEMINARY EDUCATION IMPORTANT? Once I heard a person say that “He didn’t need formal, seminary training to preach. He said that he just let the Holy Spirit lead him.” Not to be sacrilegious, but I’ve heard some of these people preach and if I were the Holy Spirit, I would be ashamed! Can people minister effectively without seminary training? Absolutely! God uses people willing to serve Him, even when they have little or no formal biblical training. One must ask, however, how much more effective can a person be who has benefited from effective specialized training in ministry. This is what a good seminary education can do. The significance of education and training could be asked about any vocational field. Training can be experienced by someone telling and showing a person how to perform a certain, simple task or it can amount to years of study and application that will result in an academic degree. The amount of training is dependent upon the task to be completed. Teaching a person how to turn on an electronic device such as a tablet or smart phone is relatively simple, while knowing all that can be accomplished on one of these devices takes a great deal more time. It is important to consider what type of work or ministry one will do in the years ahead and then one can design a program of study or training in order to prepare for this vocation. This does not mean that once you have been granted a degree your learning experiences are over. To minister effectively today once must adopt the model of lifelong learning. Often in my classes I would remind the students that they would be facing challenges and situations different from my church ministry experiences fifty years ago. Good training should allow people to adjust to the challenges of the day with new ministries and methods while at the same time holding unto the biblical foundations of the past. What is seminary training? It is a program of study that includes Bible, theology, church history, philosophy, biblical languages, preaching, leadership, administration and other subjects that lead to a graduate degree. The degree is usually an MA or a M.Div. Historically these programs were resident with duration of two to three years. In the last 25 years more schools realized that many people in ministry who desired and needed seminary training could not leave their work and travel to a resident campus to secure their education. Schools developed extension centers away from the main campus, but this also required at least one year of residence on the main campus. Ten years ago Rockbridge Seminary began offering completely online seminary degree programs. Using this model, students did not have to quit their ministries to travel to a main campus to complete their degrees. What makes seminary training unique? Usually a person has completed a college degree before entering seminary. Therefore students in seminary possess a degree of maturity and experience that contributes to the integration of learning on the graduate level. Students already serving in ministry, while taking seminary courses, are able to integrate their ministry experiences with what they are learning in the classes. Students also are able to interact with their professors and other students as they deal with issues in their ministries. Seminary should not just be the learning of facts and information that can be duplicated through exams. Yes, facts and information are very important as we present the truths of the Gospel to people in need. It is important to be able to apply the facts and information to the hearts and lives of the people God has called us to serve. Seminary education leads a person to develop a biblical philosophy of ministry. With the leadership of the Holy Spirit this will provide direction and motivation for a lifetime of fruitful service. As the years go by God may lead His servants to different kinds of ministry. One may begin as a staff person in a church and later become a senior pastor. Others move into mission work or become administrators or teachers in Christian organizations or schools. There are many opportunities for service in God’s Kingdom. Whatever calling God may give, seminary education can provide the basic training. Most denominations and mission agencies today require a seminary degree for appointment. They want their people to be well grounded in the Word of God and know how to proclaim it effectively. Many people in our churches have advanced degrees and certainly those who minister to these people should be prepared on that level too. The seminary experience provides opportunities for spiritual development. Ministry training is the focus of seminary education and the classes taken focus on the application of the truths learned as they apply to the needs of people in the congregations. God calls us into His ministry and He is the One who will empower us to accomplish His will. We in turn should get the best possible preparation to fulfill His purpose for our lives and seminary training is designed to make this possible. Dr. Dennis Williams has served as Dean, School of Leadership and Church Ministry at The Southern Baptist Theological Seminary, Professor of Educational Ministries and Administration at Denver Seminary, and Executive Administrator for the North American Professors of Christian Education. Dr. Williams is a member of the Board of Trustees at Rockbridge Seminary. What’s Right with the Church? The Church gets a lot of criticism about what is wrong with it. And few if any would contend the Church hasn’t made mistakes or there isn’t room for improvement. The Church, however, is doing many good things and brings value to its members and communities. Here are five major things that are right with the church. 1. Community service. Churches help the poor and disenfranchised by providing meals, tangible goods, child care, lodging, counseling, courses, career services, and much more. One program that impacts families and the community is Celebrate Recovery, a program for persons and families with addictions. 2. Teach moral values. Churches teach values such as respect for human life, integrity, honesty, justice, compassion, and not stealing. These values are the fabric of a healthy community and country. Churches teach us how to get outside ourselves and how to love God and others. 3. Encourage the arts. Churches teach creative arts such as dance, music, and drama, and provide outlets for sacred creative expression through worship. Many entertainers and artists learned their craft in the church. 4. Global involvement. Thanks to affordable and accessible international air travel, church members are engaged with helping people around the world. Teams of volunteers build homes, churches, schools, and wells for clean water. They provide medical care and training in agricultural practices and health care. Churches have instituted programs like PEACE that address spiritual emptiness, self-serving leadership, poverty, disease, and illiteracy. 5. Relationships. Churches bring people together who share similar values. They help one another better themselves, their families, and their world. Churches provide a sense of identity and belonging. Faith communities provide intimacy and emotional support through small group ministries. Churches provide opportunities for people to do life together. Many church members will remain in a church even when the church leaders or programs are less than ideal because of the deep bonds they have made with fellow church members. For people who have no relatives close to them the church may be their family. If you analyze these five things, they represent the five purposes of the church in Acts 2:42. Healthy churches benefit not only their members, but their communities. Rockbridge Seminary is partnering with The Small Group Network. The staff at SGN help facilitate the course, Building a Small Group Ministry. In this course, you will collaborate with small group leaders around the world. You will get to interact with the founder, Steve Gladen, the Global Pastor of Small Groups at Saddleback Church since 1998. He oversees the strategic launch and development of over 7,000 adult small groups on multiple campuses. He has authored Small Groups With Purpose, which has been translated into twelve languages to date, Leading Small Groups With Purpose, and Planning Small Groups with Purpose. The Building a Small Group Ministry class will be offered in the 2019 fall term. Want Rockbridge memorabilia such as t-shirts, coffee cups, water bottles, and aprons? Click here. Participants concluded the service by praying for the victims and praying for church leaders to take restorative measures to deal with this horrendous sin in the church and community. The service included the Lord’s Supper, led by Dr. Ed Eastman. The Seminary is launching an initiative to provide sexual abuse awareness to all our students and graduates. The cost for the curriculum is $5 per student, for a total of approximately $1000. If you are interested in donating to this cause, please contact the President’s Office or donate online. Graduation – June 24, Saddleback Church, Refinery, 7:00 p.m. There are 100 billion neurons in the brain. The average neuron makes a thousand synaptic connections, and some neurons can make a hundred times that number. The typical brain is about 2% of a body’s weight, but uses 20% of its total energy and oxygen intake. Babies lose half their neurons at birth. It is estimated that a baby loses about half their neurons before they are born. This process is sometimes referred to as pruning and may eliminate neurons that do not receive sufficient input from other neurons. The brain never stops working. But it does cease talking to itself when you lose consciousness. Once we learn a smell, it always smells the same to us—despite the fact that there are always new neurons smelling it! Reading aloud to children helps stimulate brain development, yet only 50% of infants and toddlers are routinely read to by their parents. Our working memory, a very short-term form of memory which stores ideas just long enough for us to understand them, can hold on average a maximum of seven digits. Recent discoveries in brain science is shedding new light on how we learn and how we can improve our teaching strategies, including discipleship. Technology is rewiring the brain, affecting how we process information. Technology has positive effects and negative effects. On the positive, technology provides quick feedback. Information is quickly and widely disseminated. Technology can also have negative effects such as diminished attention span, addiction, lack of focused attention, and impact of social skills. As one author put it, people find themselves plunged into an ecosystem of interruption technologies. This environment promotes hasty reading, hurried or distracted thinking, and superficial learning. 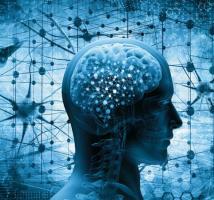 Brain research is validating some of the teaching principles we use today. So, it doesn’t mean we are casting off all of our teaching practices. Other practices and structures are being questioned as we discover more about how we learn. For example, we are learning that the brain has rhythms or time structures of peak performance. The brain needs activity and rest. We need brain breaks. We learn more efficiently at different times of the day. The implication of these findings is to limit cognitive activities for children to periods of 5-10 minutes, and 25 minutes for adults. Technology and brain science brings unique opportunities and challenges to discipleship. In 1982, John Naisbitt coined the phrase, “high tech high touch.” Technology can be a valuable tool in communication and information gathering. However, disciplers must not neglect the relational component to discipleship. Disciplers can help their mentees think critically about the information received. Spiritual formation will need to provide Sabbath from technology, so people can learn to listen to the quiet small voice of God. Contemplative practices, once thought ancient, should be revived in this age of hurry and frequent interruptions. Discipleship will be experiential, participatory, interactive, and relational. It will break concepts into smaller chunks using auditory, visual, kinesthetic mediums. The mind is too wonderful a thing to waste. At Rockbridge we want to make the most of every opportunity to learn and be transformed into the likeness of Christ. Come study with us. Want Seminary, but No College? No problem! Jeremy never expected to be a ministry leader. He left college to begin a business. Life happened. Years later he’s serving in the church and wants to deepen his understanding of the Bible and develop his ministry skills. He doesn’t want to go back to college and study algebra, English, or world history, but he’d like to go to seminary. Is there a program that could help him accomplish his learning goals? Rockbridge Seminary’s Diploma in Ministry Studies (DMS)is a certificate program designed for men and women over the age of 25 who are serving on a church staff or in other ministry positions. This completely online-program provides an opportunity for students, not seeking a degree, to develop servant leadership skills for ministry, as well as competencies in Bible and church history. Ministry classes may be completed in two years, although students may take longer due to family, church, and job responsibilities. The program is only available for those who do not possess a bachelor’s degree. Many prospective students ask about the return on investment. “Is the time, money, and effort of seminary worth it?” Our graduates share how the Diploma in Ministry Studies is life changing. The Diploma in Ministry Studies may be the solution you are looking for, or you may know of someone who could benefit from this program. For more information, contact admissions@rockbridge.edu. For some, the very word “seminary” is frightening. They envision struggling with languages such as Greek and Hebrew. They suppose seminary is only for perfect geniuses whose conversations contain strange words such as “dyophysitism” or “tropological.” Let me demythologize the term and take the scary out of seminary. The word “seminary” comes from the Greek word meaning “seed.” Seminary should be a place where people grow and mature like a seed grows into a mature plant. Seminary, if you will, is a seedbed for germinating faith. For those who are thinking about seminary . . .
1. You don’t have to be perfect.Like with salvation, if you are waiting until you get your act together, seminary will always be a distant goal. Each of us come to seminary as sinners. Grace is our uniting bond. Through the seminary experience, you discover where God has been at work in your life in the past, unite with God in the present, and gain a vision of God’s calling for your future. 2. Your ultimate goal is not knowledge, but relationships.The goal of theology is not simply the acquisition of knowledge aboutGod, but to know God intimately. Just as you grow in your relationship with friends and loved ones, God wants you to grow in your relationship with him. Yes, you will grow in your understanding of biblical concepts. Yes, you will develop your ministry leadership skills. However, if you grow in knowledge (head), and practice (hands), but do not grow in your relationship with God (heart), you miss the primary purpose of seminary. Paul prayed this for his friends, “I keep asking that the God of our Lord Jesus Christ, the glorious Father, may give you the Spirit of wisdom and revelation, so that you may know him better” (Eph. 1:17, emphasis mine).Each day we pray this for our students, that through their studies they will know God better. By the way, you can receive an MDiv at Rockbridge without Greek and Hebrew. We help you learn how to use tools for understanding the biblical languages. 3. You don’t have to be an “A” student.Most of our students have been out of formal education for over 20 years. Many did not do well in previous academic studies because they were not motivated to learn. But with maturity and a passion for Christ come a desire to know and learn more about God. Rockbridge students improve their written and oral communication skills. They develop friendships with colleagues from around the world who cheer each other on. They are motivated to create projects they can use immediately in their ministry. So, if you are feeling a nudge from God and friends to attend seminary, don’t be scared. Seminary might just be the seedbed where your faith can grow. Please share this with others who are exploring this journey. If you want more information, contact admissions@rockbridge.edu. There are many different ways you can support Rockbridge Seminary. Here are five things you can do and it won’t break your piggy bank. 1. Have you heard about Amazon Smile? AmazonSmile is a website operated by Amazon with the same products, prices, and shopping features as Amazon.com. The difference is that when you shop on AmazonSmile, the AmazonSmile Foundation will donate 0.5% of the purchase price of eligible products to the charitable organization of your choice. Rockbridge receives hundreds of dollars from our supporters through this program. To learn how your shopping can support Rockbridge, check this link. Another way to help Rockbridge is through your social media. Please share your experience and support through your social media, whether it is Twitter, Facebook, Instagram, or other social media formats. Find Rockbridge on the following media and follow or friend us. Please send us your social media address so we can follow YOU. The best prospect come from alumni, faculty, students, friends, and family members. Prayerfully think about people you know who could benefit from our practical ministry training. You may send prospective names and contact info to admissions@rockbridge.edu. Many churches encourage its members to investigate ministry training with a link from their website. We would be honored to provide a banner or marketing materials for you to share our mission with others. Ask your church to be a partner with us in training servant leaders for Christian ministry. Check out our partners page. We’ve developed a survey to measure your competency development in 35 ministry skills.-.